New York City has cut the lock that was keeping people out a public park that Tribeca dog owners had converted into a private, members-only space against city rules. 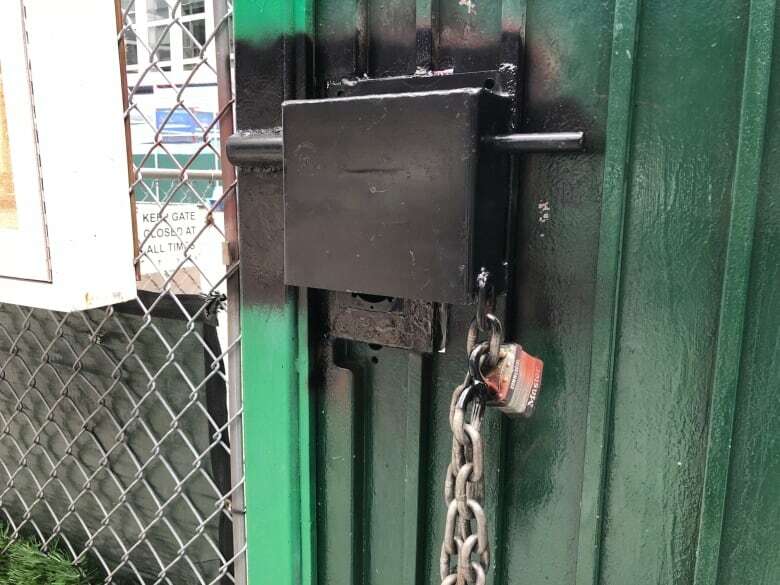 New York City parks department officials have cut the lock that was keeping people out of a public park that Tribeca dog owners had converted into a private, members-only space in violation of city rules. The move by the city comes after the New York Post broke the story about what it called a public park "takeover" by "snooty pooch privateers." An incorporated community group called the Dog Owners of Tribeca (DOOT) had installed a keypad lock on the fence of a 28-by-13-metre public garden, and restricted access to members who paid a $120 US annual fee and abided by the group's 22 rules. According to the Post, DOOT operated the park that way for more than a decade without the city noticing. "It's a pretty unique situation," Geoffrey Croft, a volunteer with watchdog group NYC Park Advocates, told As It Happens host Carol Off. "They treated this as a private facility, and that is obviously against the law. It's definitely outrageous." DOOT listed 22 rules for the park, which, among other things, banned dog toys, grooming, children under 12, "aggressive" or "socially inept dogs" and non-members. "They were very strict about what they wanted there," Croft said. DOOT member Shirley Jaffe told As It Happens the whole story has been "blown totally out of proportion" and that the group is now fully co-operating with the city. "We have worked with the Parks Department to ensure a smooth transition and, in fact, gave them all the cleaning equipment we purchased (power washer, shovels, brooms etc)," Jaffe said in an email. "We hope they keep the park safe and clean going forward so it can continue to be a community asset." She said reporting on this story has been "very inaccurate," but declined to give specific examples. 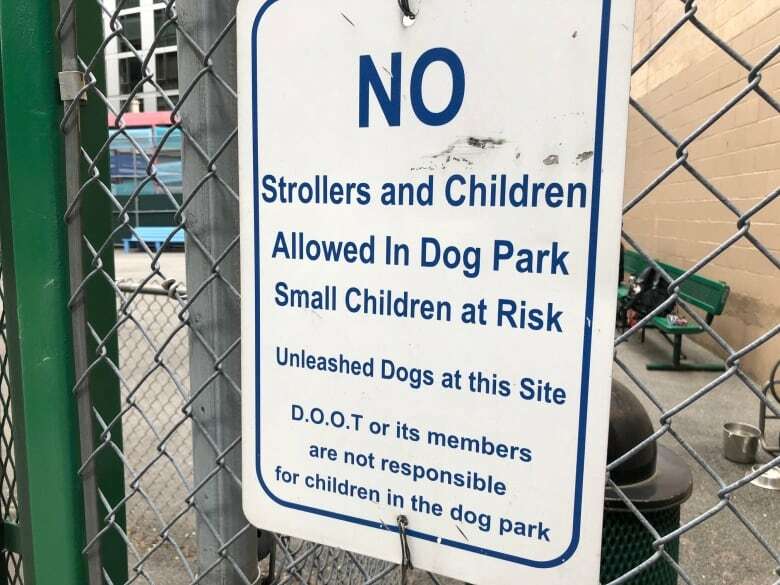 New York City Department of Parks & Recreation spokesperson Sam Biederman told As It Happens that dog parks are often run with the help of community organizations like DOOT that are tasked with taking care of the space and enforcing the rules. He called these agreements "barknerships." However, the department said city rules stipulate the parks must remain open to the public and can only be locked at night. "Charging for entrance is prohibited," Biederman said in an emailed statement. Croft said it's "particularly egregious" that DOOT managed to fly under the city's radar for a decade. "Unfortunately, in New York City we have a very large parks department and historically it is underfunded and there is a huge lack of accountability," he said. "Our elected officials don't seem to care." The parks department said it has no record of complaints about the park or the group. According to tax files unearthed by the Post, DOOT collected $83,000 US in "membership dues" through 2016. DOOT says those fees are used for equipment, maintenance and repairs. The group's website, which has been taken offline, claimed the park was "privately owned." "The NYC Parks Dept. has no involvement whatsoever with the park," reads the site, which can still be viewed via the Wayback Machine internet archive. 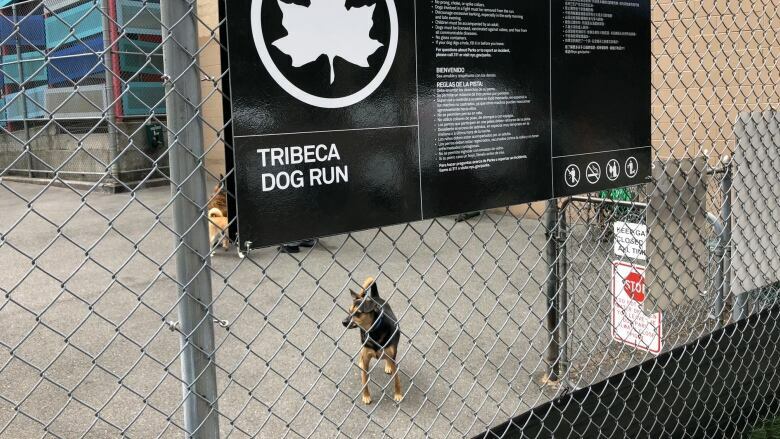 "The park is operated by Dog Owners of Tribeca, Inc. It is solely dependent on your membership dues to remain in operation." Jaffe would not respond to questions about why the website claimed the park was privately owned. Jaffe said DOOT — which is registered as a tax-exempt, not-for-profit corporation — has "commenced the required official dissolution process." The New York City Department of Parks & Recreation says it did not ask the group to dismantle — just to abide by the city's rules. Croft, meanwhile, says he's been to the park since the lock was cut, and residents are pleased to have a new public space. "A lot of the people I spoke with are very happy. They were outraged. They didn't even know it was a public park and now, obviously, the word is out there," he said. "We're talking about a very small space. But in New York City, real estate being what it is, every inch counts." Written by Sheena Goodyear. Interview with Geoffrey Croft produced by Jeanne Armstrong.